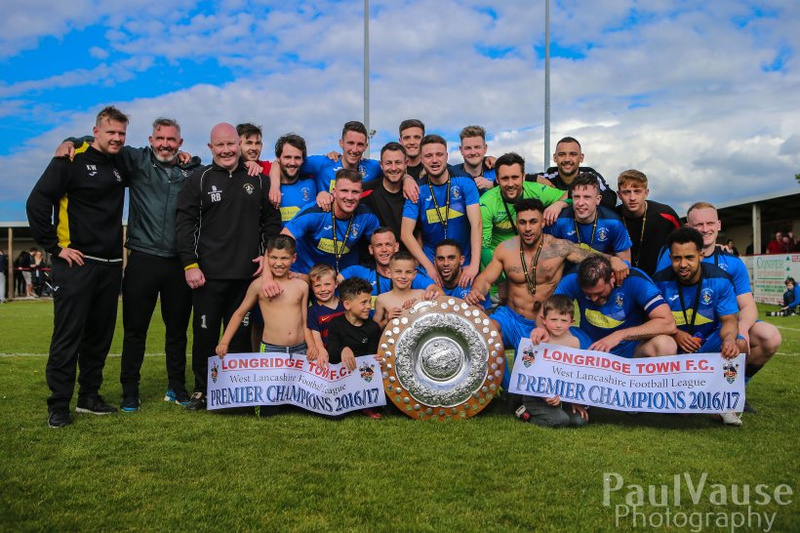 Longridge Town Football Club was formed in 1996 when the two main clubs in the town, Longridge United and Longridge St. Wilfrid’s amalgamated to form a single club with the ultimate aim of bringing a higher standard of football to the town (writes Bob Gornall). Although Longridge Town Football Club has only been in existence since 1996, the two clubs from which it was formed have histories which can be traced back to the 19th century, when two clubs Longridge St. Wilfrid’s and Longridge St. Lawrence were first formed. Both of these clubs were based on sectarian grounds and played in their respective religious leagues. This situation existed until 1929 when Longridge St. Lawrence became a non-sectarian club and changed its name to Longridge United. In 1996 Longridge United and Longridge St. Wilfrid’s amalgamated to give a single club which is still the situation today. The club initially played in the Preston & District League, winning the Third Division Title in 2003-4, en route to their rise to the Premier Division. Following a third place finish in 2007-08, the Club’s application to join the West Lancashire Second Division was successful. In only their second season in the league, the club were promoted to the First Division at the end of the 2009-10 season, as runners-up to BAC/EE Springfields. And in 2011-12 the club enjoyed their most successful season so far when they won the First Division Title from Crooklands Casuals and scored 91 goals in the process to be crowned champions. The club came third in 2012-13 and went on to win the West Lancashire Premier Division in 2016-17, followed with a third place finish which along with ground improvements as per league rules, to be promoted to the Hallmark Security NWCFL Division One North for the 2018/19 Season.